Applications for 2019 Fulbright Scholarships are now open for researchers looking to build connections and collaborate with peers in the US. Recognised among the most prestigious research scholarships, the exchange program is administered by the Australian-American Fulbright Commission. “Australia’s ties to the US have a long and strong history and they are built on programs like Fulbright,” Vice-Chancellor Professor Alex Zelinsky said. “These are highly sought-after opportunities which connect Australian researchers to some of the best research institutions in the world,” he said. Fulbright Scholarships, funded by sponsors and the Australian and US governments, support researchers to travel to the US in postdoctoral, postgraduate [Scholar and Distinguished Chair] or professional capacities. Scholars spend up to six months in the US sharing their knowledge, collaborating with their chosen academic colleagues and the broader US communities through workshops, seminars and public lectures. “Competition is of course strong, but The University of Newcastle has been well represented in recent years, which is outstanding,” the VC said. In early February, our University will welcome Fulbright Distinguished Chair Dr Michael Hendryx from Indiana University. Dr Hendryx will be working with Professor Julie Byles and Dr Catherine Chojenta in the Priority Research Centre for Generational Health and Ageing based at HMRI. His research has investigated the health of people who live near surface coal mining sites in Appalachia. During this visit Michael will collaborate with our researchers on a project using data from the Australian Longitudinal Study on Women’s Heath to look at the co-occurring environmental, social, economic and behavioural variables that affect women’s health throughout their lives. The first research line concerns an examination of birth defects in babies born to Australian women in relationship to environmental variables and other risks. More application information and an Expression of Interest form is available at Research Advantage – Fulbright Support Program. The 2019 Fulbright Scholarships Applications open 4 February and close 15th July 2019. 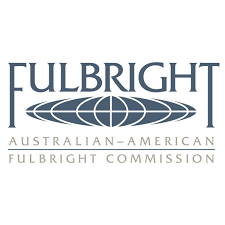 The Australian-American Fulbright Commission offers Scholarships to Australian citizens across all career stages. Awardees take part in a bi-lateral academic and cultural exchange, pursuing research or study at a U.S. institution, experiencing life in the United States of America, and bringing back their knowledge and experience to share with their communities in Australia.